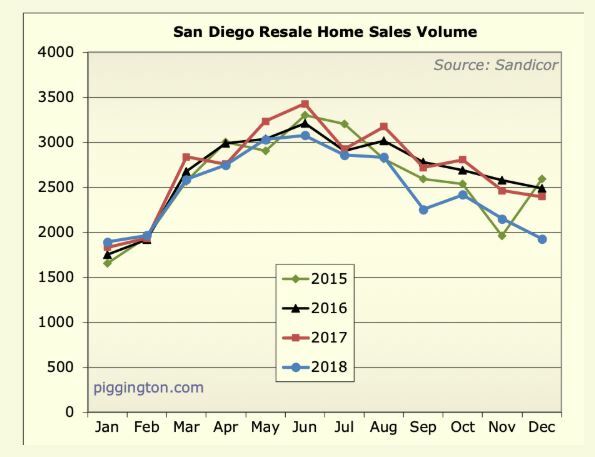 For sales to spike in March, it means buyers have been jumping to get into escrow right after the Super Bowl – and in some cases, prior to! But also look at how sales drop off earlier in summer. 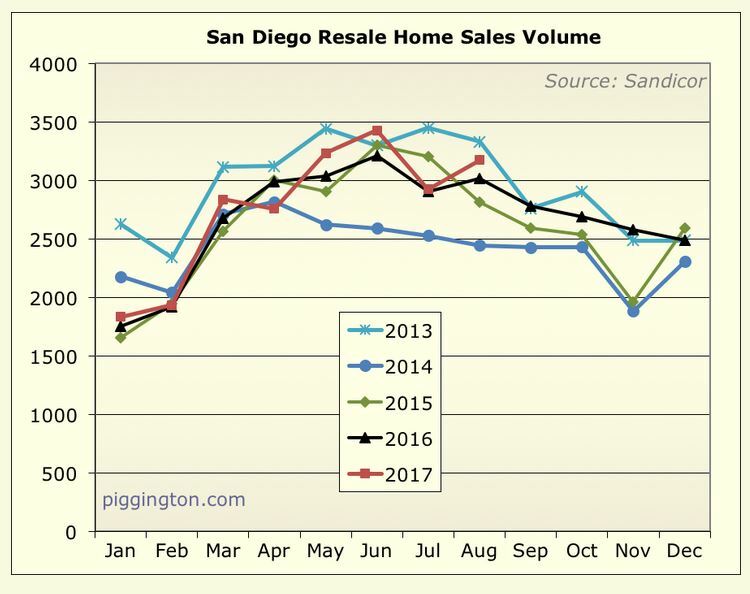 In 2018, sales from May to June were flat, when they usually rise. 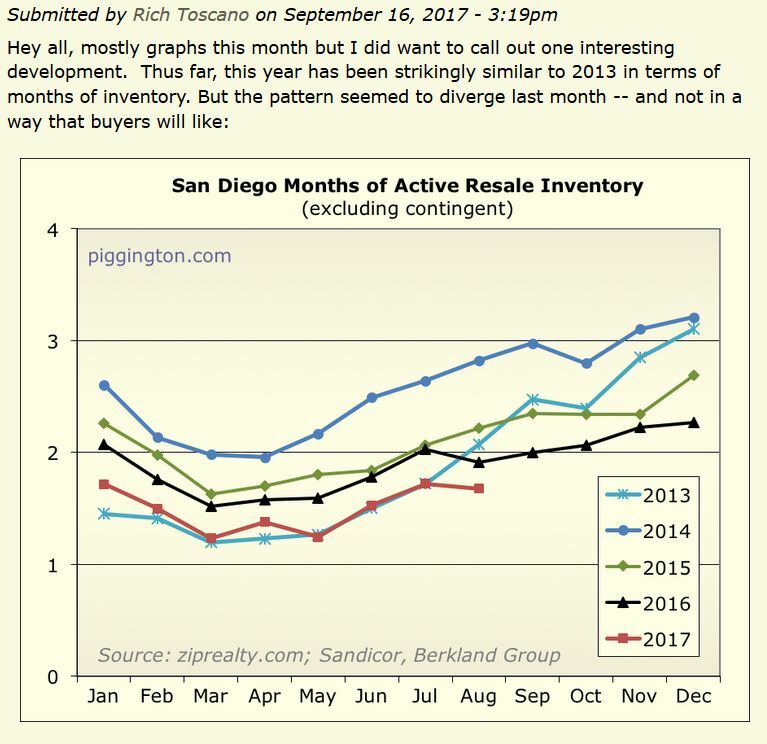 Closed sales in July – which are a result of buyer decisions made in May and June – typically decline from June’s sales counts, but then last year they really fell apart for the rest of the year. 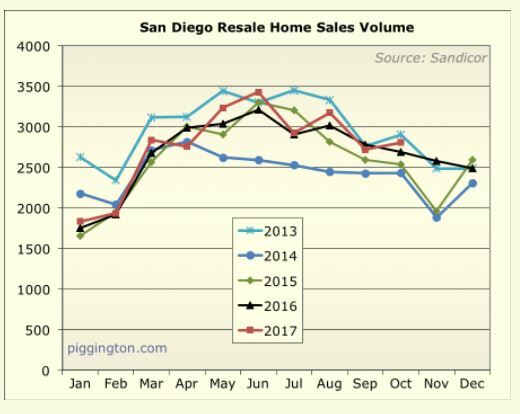 And this graph is for the whole county, whose median sales price is less than half of what it is between La Jolla and Carlsbad. If you are selling, do not think you’ll stand a better chance, later. February through April will be the season. Read the full article here – with 13 more graphs! 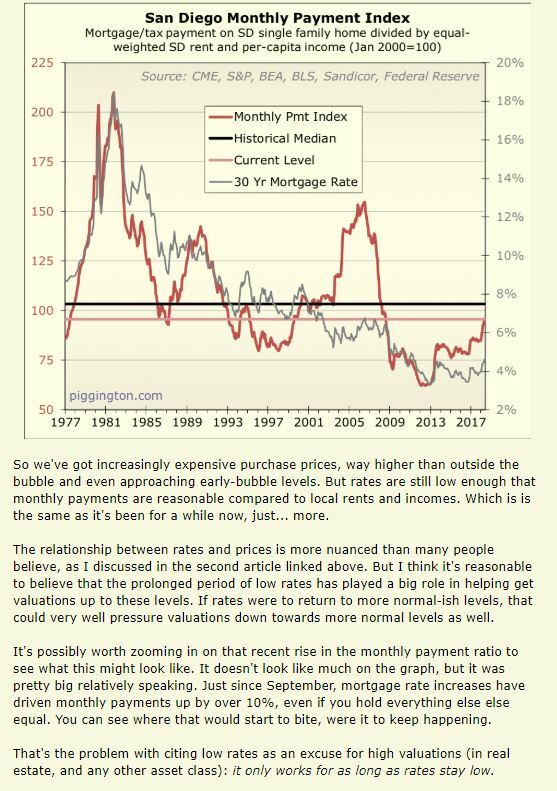 Rich’s latest report is out! 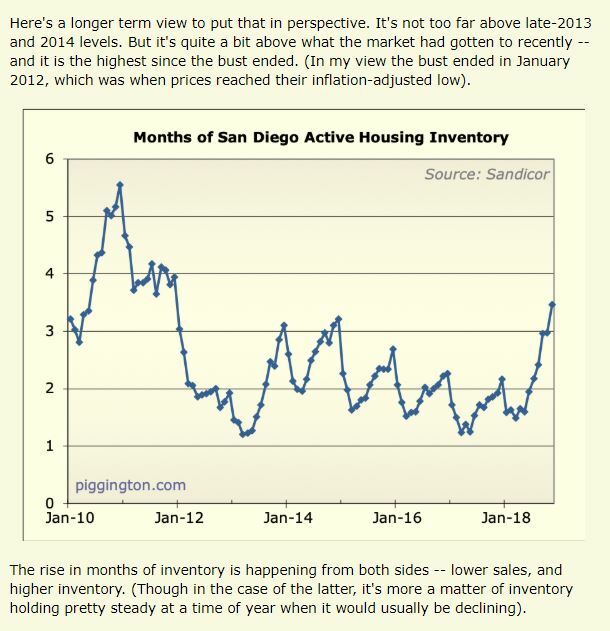 The worrisome spike last month did flatten out, but it does make you wonder if we should adjust our sights. 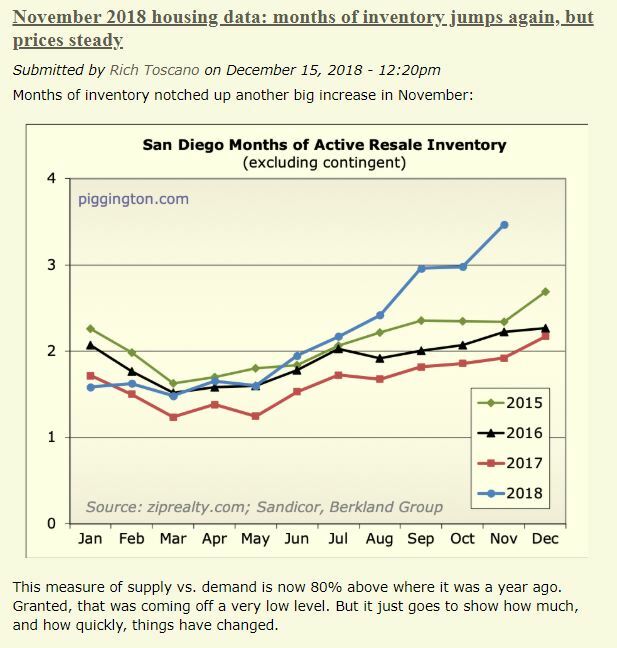 I agree with Rich that the months of active inventory will probably be rising from now on. 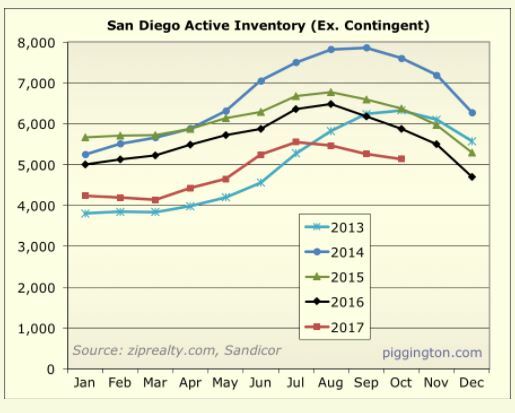 But if the coastal market had 3 or 4 months of active inventory, it wouldn’t be a bad thing. 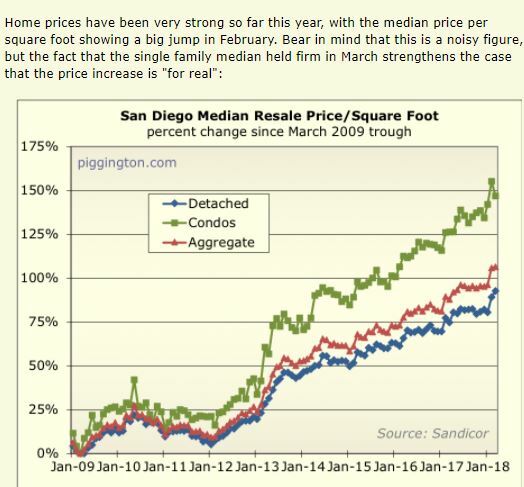 Rancho Santa Fe is 7+ and doing fine. Yet, sales have been mostly better than every year since the Frenzy of 2013! 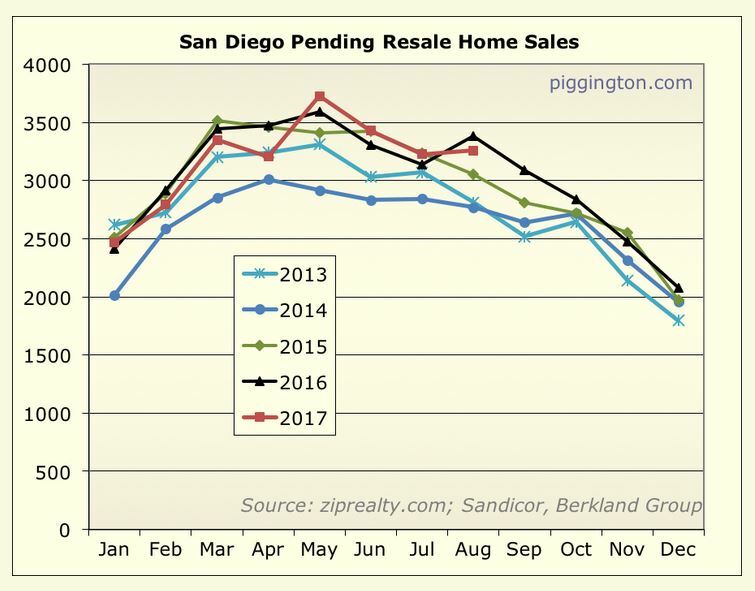 Fewer homes for sale but more sales? 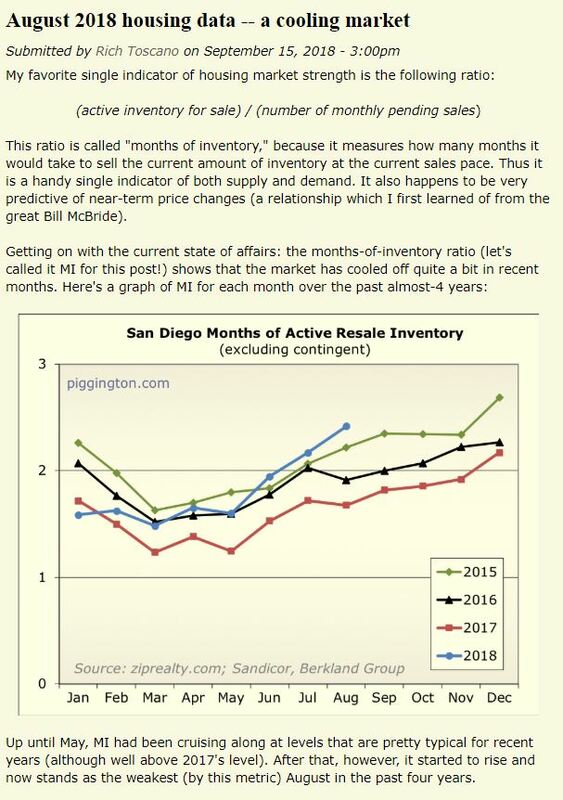 Are sellers doing better to improve their homes before selling, or are buyers so desperate that they are buying crap they wouldn’t have bought during the last couple of years just purely because of the scarcity? There will be sellers – especially on the higher-end – who didn’t know how motivated they were until now. Will they lower their price, or wait and take their chances next year? The market couldn’t be much better than now! 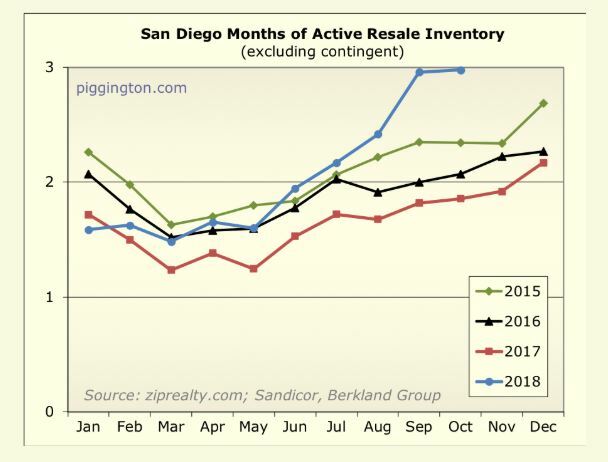 We don’t mind if the new listings drop off – all we want are motivated sellers, because it is so unlikely that buyers will wildly overpay now. With all the outside distractions, it will be a little too easy for casual sellers to wait until next year. In his graph above, you can see that the county has been cooking this summer, with as many pendings as we’ve had in recent years! 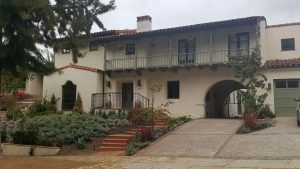 In spite of higher pricing, we’ve also had fewer homes to consider. 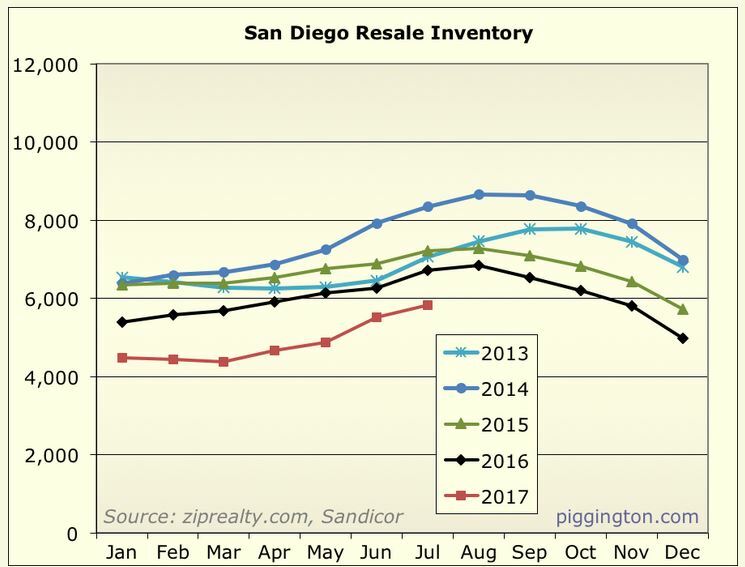 Isn’t it mind-boggling that in a county of more than 3 million people, we’ve had less than 6,000 homes for sale all year? 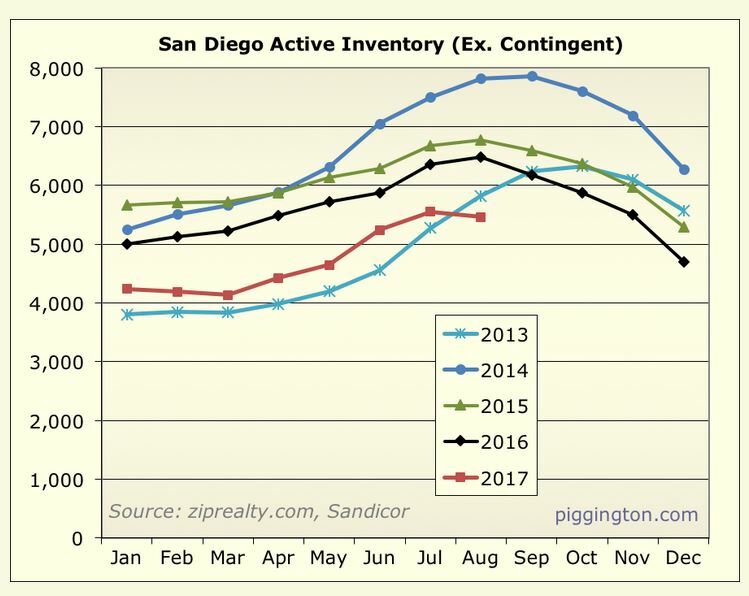 We’ve been following the weekly new pendings between La Jolla and Carlsbad since 2013, but I haven’t monitored the NSDCC total pendings. 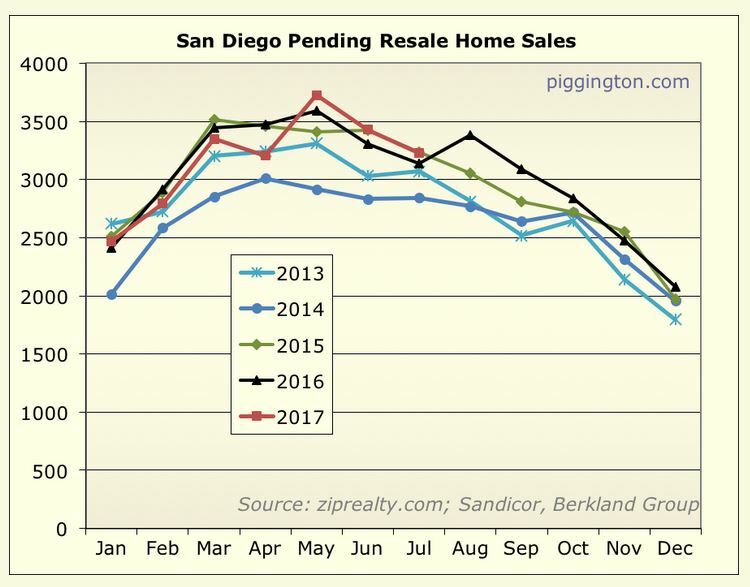 Any rise and fall in the total-pendings count would be a precursor to a change in sales count, which would give us a hint of a new trend. The houses that are still pending after 20 days have probably released their contingencies, and are on their way to the finish line. I will keep track of them from now on to see if the trend reveals anything new!